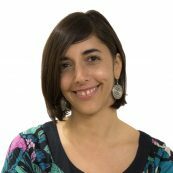 Joining the PYXERA Global Team in 2016, Carolina Gowland manages Global Pro Bono (GPB) Programs in Latin America. Carolina has strong communication skills and solid experience in stakeholder engagement involving the private, public, and social sectors. In her experience functional, win-win partnerships depend on people connection at the human level and sharing a common understanding. As a Regional Pro Bono Manager for PYXERA Global based in Buenos Aires, she was able to work co-managing the IBM Corporate Service Corps and SAP Social Sabbatical Programs in Argentina, Chile, Ecuador and Perú. Carolina is a psychologist and has a degree in nonprofit management. Previously, Carolina worked for the San Andrés University, coordinating various initiatives for the Innovation Social Center, which included the development of case studies for the Social Enterprise Knowledge Network, corporate volunteer programs coordination for Telefónica, and implementation of the Philanthropy Workshop and Social Responsibility Seminar in partnership with the Rockefeller and Ford Foundations. Carolina is passionate about reading, nature and an advocate for breastfeeding and respectful parenting.